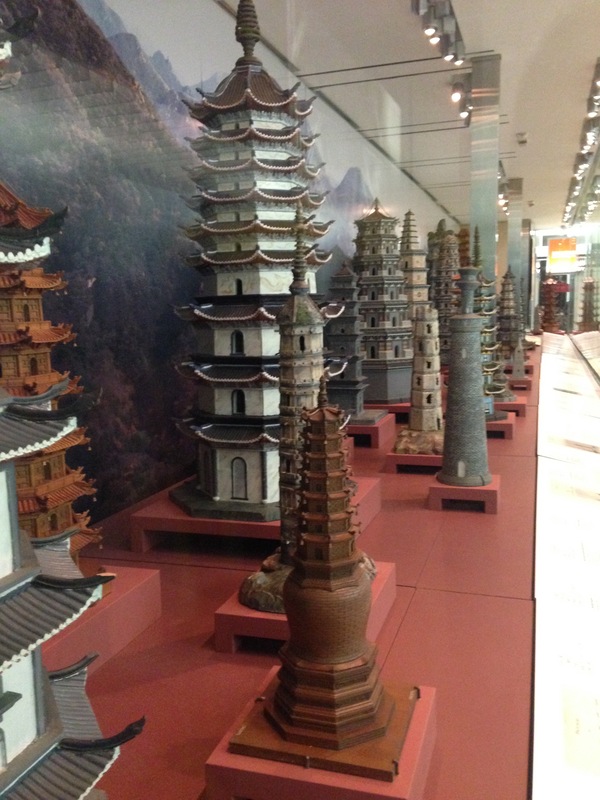 If you are arriving or departing from San Francisco Airport between April 4 and October 25 of this year, be sure to check out the nearly 80 models of Chinese pagodas. 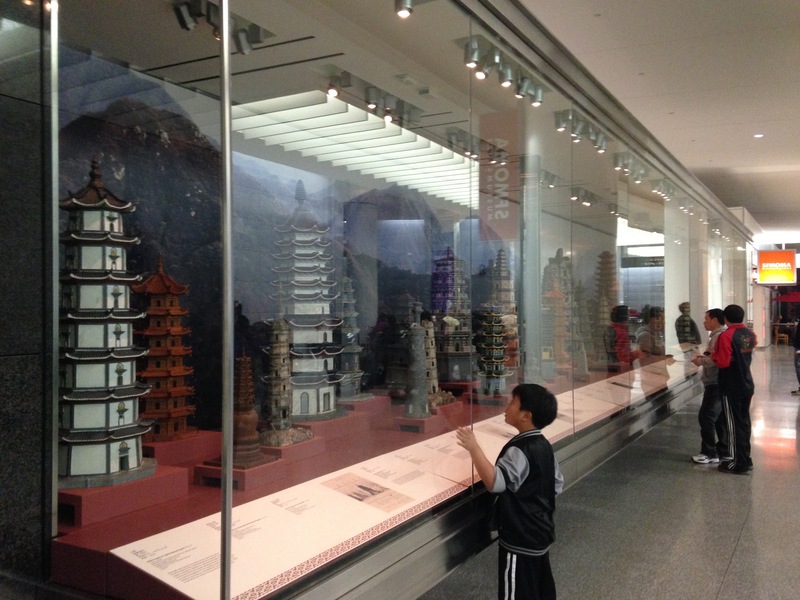 Some as tall as 7 feet and others as short as 1 foot, these impressive yet intricately carved wooden models were made by Chinese orphans under the supervision of Jesuit fathers at the French Catholic orphanage workshops of Tushanwan in Shanghai exactly 100 years ago, to be sent across the ocean to participate in the San Francisco Panama-Pacific International Exposition in 1915. Intended as scientifically reduced models of famous pagodas found throughout China, their makers saw them as a kind of conservation through documentation, and chose to maintain and recreate their contemporary ruinous appearances. 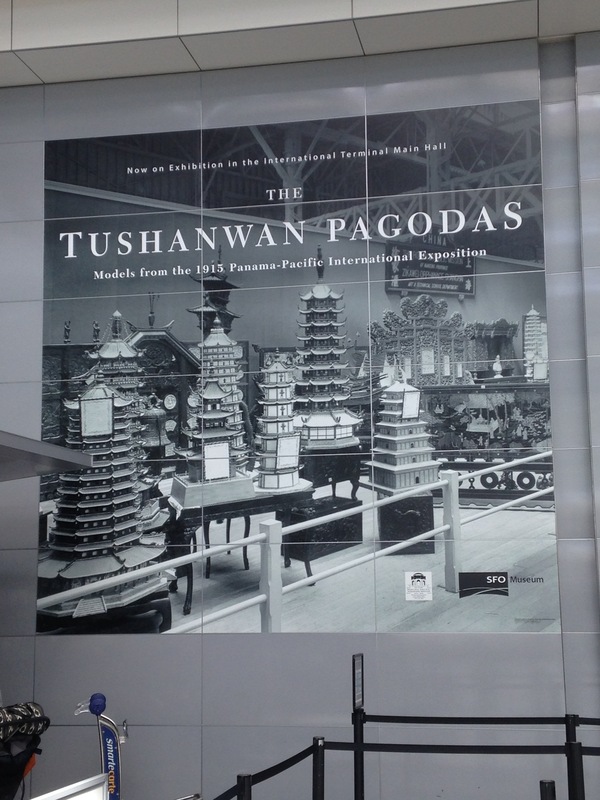 The pagodas on display at SFO are located toward the back of the International Terminal (next to the SFMOMA store) BEFORE the security check in. 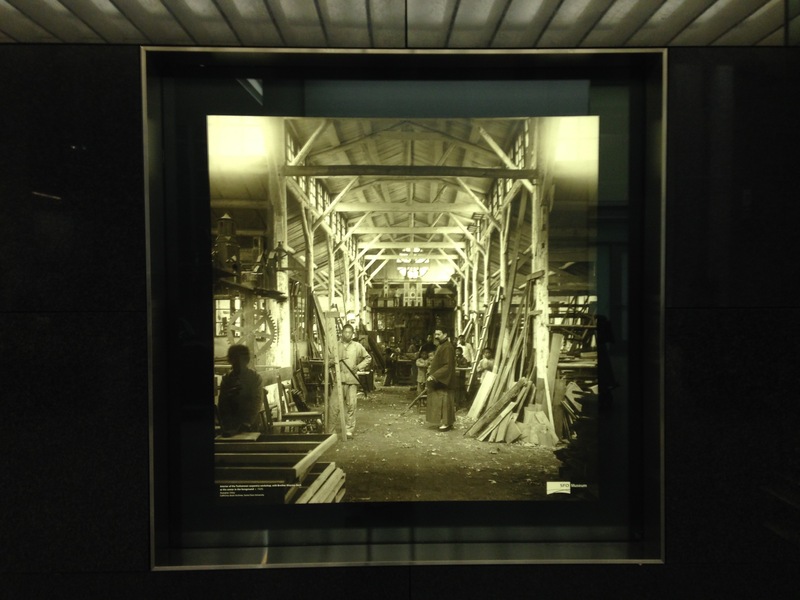 They are only a slight detour on your way to or from BART, and worth checking out!